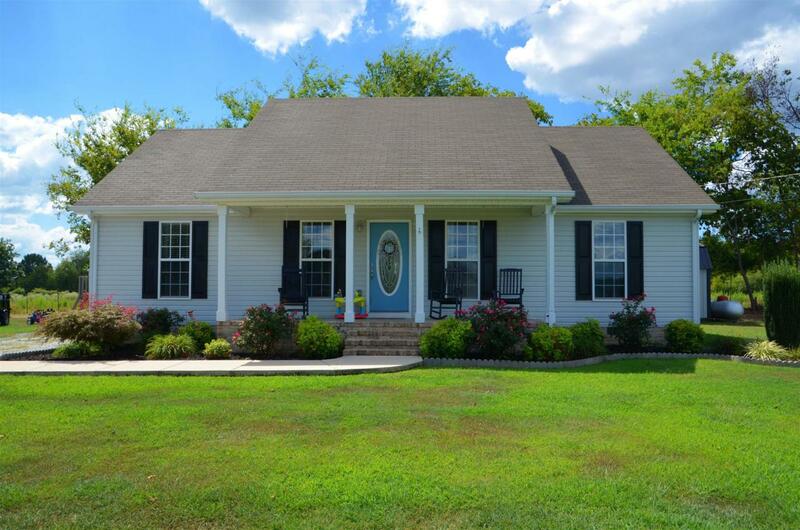 Beautiful home with lovely country views, gentle waiting for you in the Ridge Crest Subdivision. Spacious 3 beds/ 2bath home with huge closets. Amazing kitchen with lovely white cabinets , beautiful flooring and stainless steel appliances. Large outbuilding , outside play-set, propane heater, and kitchen appliances to remain.